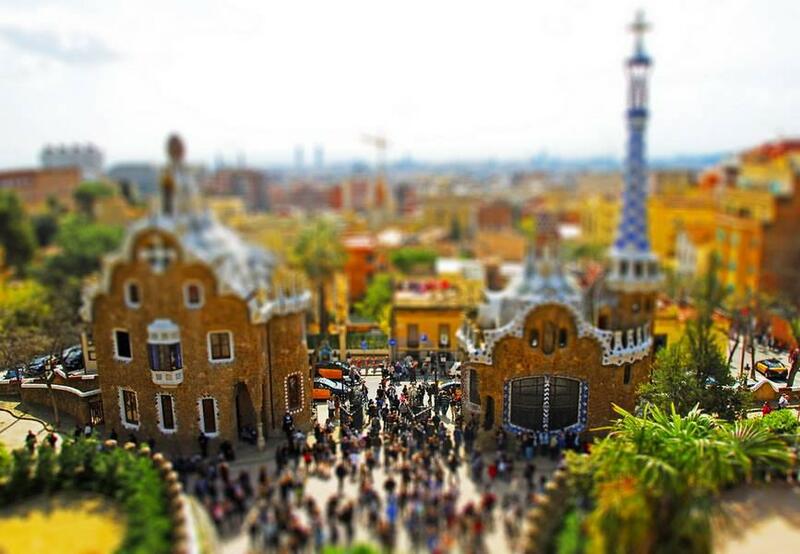 Park Güell is a must see for all visitors to Barcelona. Just like Sagrada Familia, Park Güell is a masterpiece of Gaudí in Barcelona. Visitors to Parque Güell feel like they are walking through a fairytale park and, what’s more, they can enjoy spectacular views over the city of Barcelona. 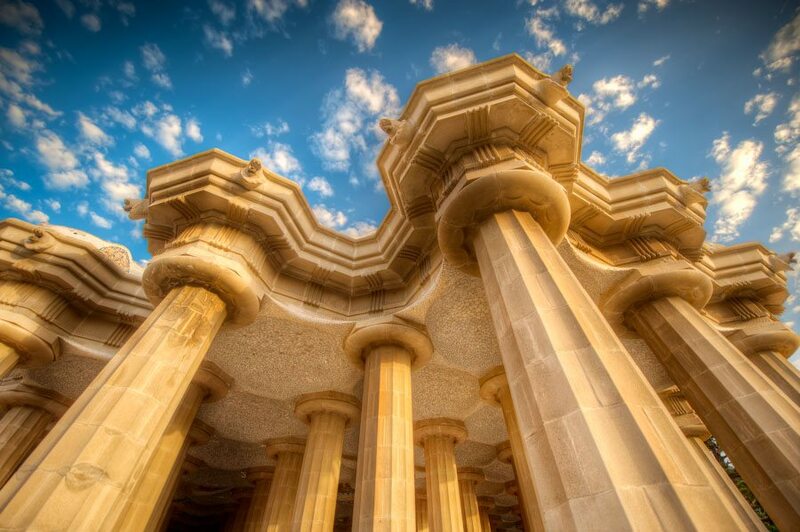 At one of the highest points of Park Güell you can find the so-called Hall of a hundred columns, a semi-cavernous area, supported by 84 pillars made from ceramic and glass mosaics. 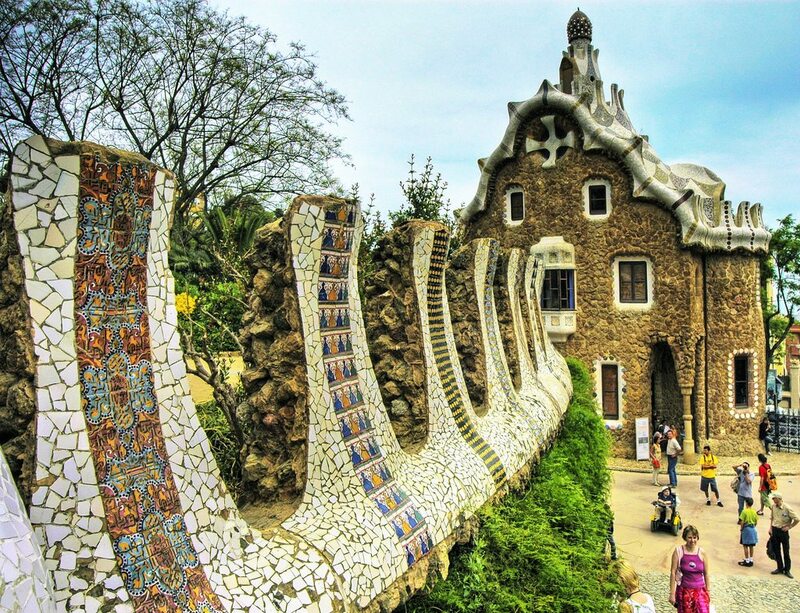 An ornate staircase decorated with ceramic animals climbs up to another of the highest points of Park Güell: It leads up to the great Plaça Circular measuring 3000m2, an oval-shaped square located on the terrace just above the Hall of a hundred columns. This is where what is probably the longest and most mysterious bench in the world can be found, which was once called the forerunner of surrealism by Salvador Dalí. The bench, which is totally covered with pieces of fragile ceramic, was designed by Josep Pujol, one of Gaudí’s most important collaborators, and winds around the edges of the square. It is here where visitors should take a break to stop and enjoy the fantastic views of Barcelona. It was the surname of the Count Eusebi Güell, the person who ordered the park project to be carried out, that gave the park its name. In 1885, the count acquired 20 hectares of land, which previously belonged to the outskirts of Barcelona. Gaudí commissioned the builders who converted this land into a garden city, homes in the heart of nature. Originally, sixty homes were planned to be built in the park, as well as other public buildings, however, only two were completed. As they could find no buyers for the buildings planned for Park Güell, in 1922 it was opened as a public park for the citizens of Barcelona. Gaudí lived there from 1906 to 1926. In 1963 a museum was opened in Park Güell in the old houses. Entry to the museum costs €5 for adults and €4 for students and children. This is simply two flats with few rooms, in which there are a few old pieces of furniture and other accessories, such as an ornate mirror. The beautiful views over Barcelona from the house can also be enjoyed from other points of the park. Parke Güell was finished between 1910 and 1914 and this work of art belongs to Gaudí’s naturalist phase, when he was inspired by the organic shapes of nature. It was declared World Heritage by UNESCO in 1984. The focal point of the park is the main terrace, surrounded by a long bench in the form of a sea serpent . The curves of the serpent bench form a number of enclaves, creating a more social atmosphere. Gaudi incorporated many motifs of Catalan nationalism, and elements from religious mysticism and ancient poetry, into the Park.